I have photographed Deep Creek Lake hundreds of times. I am constantly looking for different angles and approaches to photographing this beautiful body of water in Western Maryland. This photo was taken at Deep Creek Lake State Park during one of my predawn drives around the area. The water looked golden as the morning light filtered thru the fog. 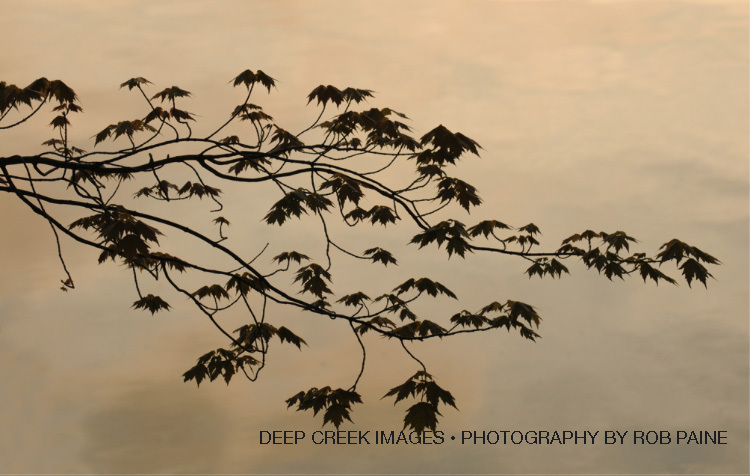 While looking beyond the wide vistas that are always at the lake, I zoned in on this tree hanging over the water. The scene sort of had an abstract Far Eastern look to it and I love how the leaves and branch just seem to be hanging in mid air. I see this photo looking its best being printed on a very textured paper or canvas. Extended thru June 30! Get this great book for for a reduced price of $32 including postage Limited number of books available. 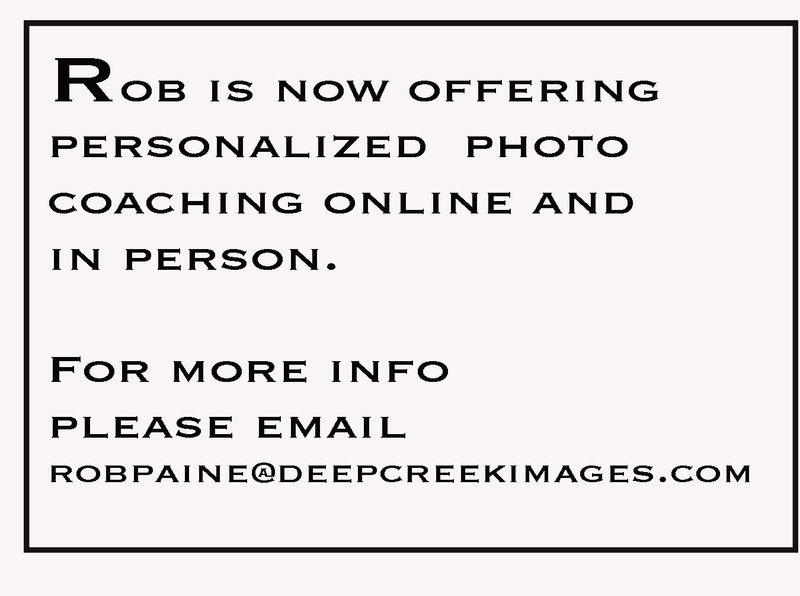 Email robpaine@deepcreekimages.com to order and get invoice.